Purple, Purple everywhere, how extraordinary. Moving into our home in Palo Alto after a hiatus of several years, we surveyed the empty rooms and waited for our furniture to arrive. Our renters had vacated the premises in good order. 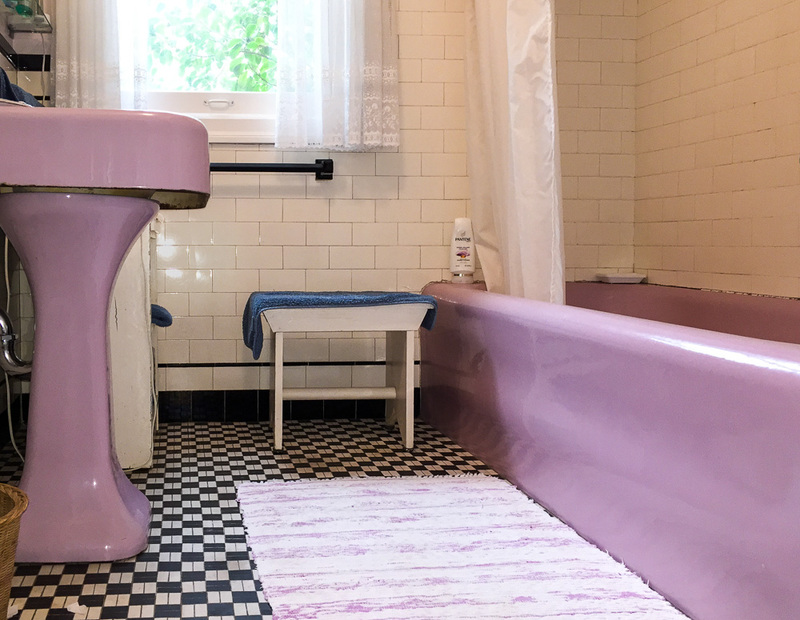 Our extraordinary bathroom fixtures were still there; they greatly impressed our youngest son whose favorite color was purple. With head uncover’d, the cosmetic pow’rs. And decks the goddess with the glitt’ring spoil. Transform’d to combs, the speckled and the white. And Betty’s prais’d for labours not her own. Thirty some years after moving back into our home, the purple fixtures are still serving their ordinary purpose. Follow the link to read what other bloggers have to say about the weekly WordPress Photo Challenge: (Extra) Ordinary. This entry was posted in Palo Alto, Poetry, Wordpress and tagged Photography, Weekly Photo Challenge by carto. Bookmark the permalink. 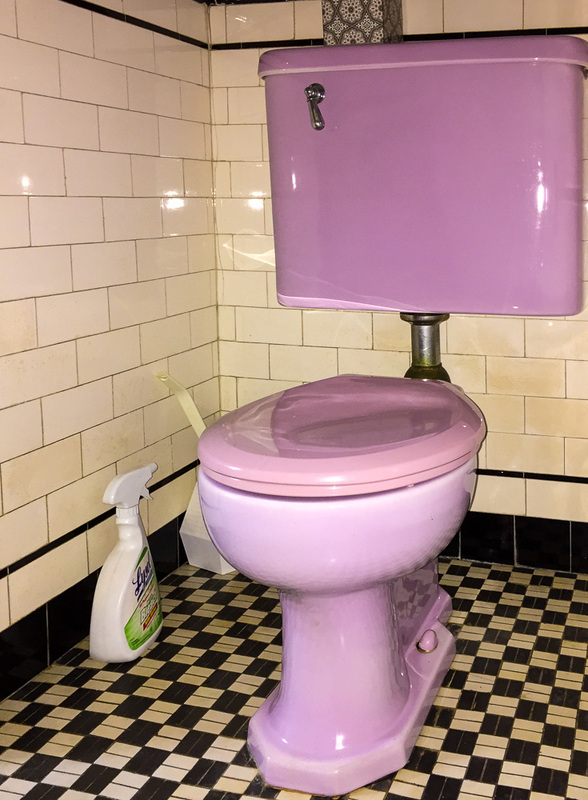 The toilet was introduced by Kohler (1927) and the color is officially Lavender.